Mike and I went to Portland, Oregon the past weekend to celebrate our two year anniversary. 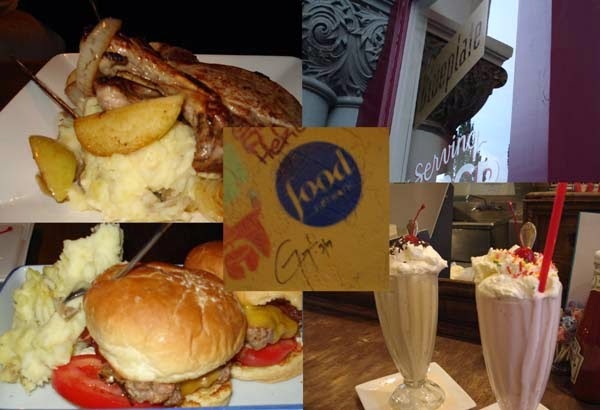 We enjoyed many meals - here are a few. 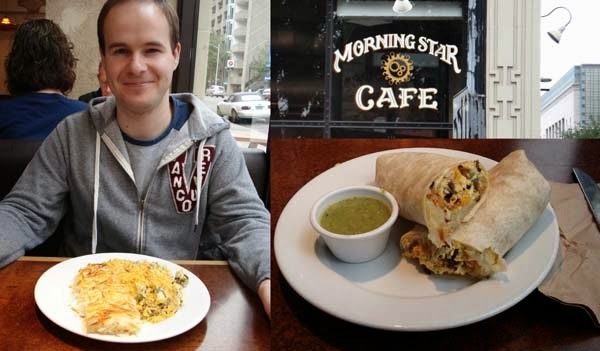 Above: our first meal in the states - we flew on an early morning flight and had brunch at Morning Star Cafe. 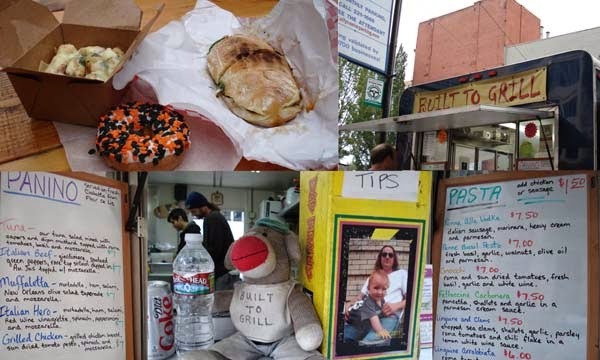 Blueplate was one of the places I knew I had to go to... as it was on Diners Drive-ins and Dives (that show makes me so hungry late at night) - the milkshakes were so amazing we went back for them twice! 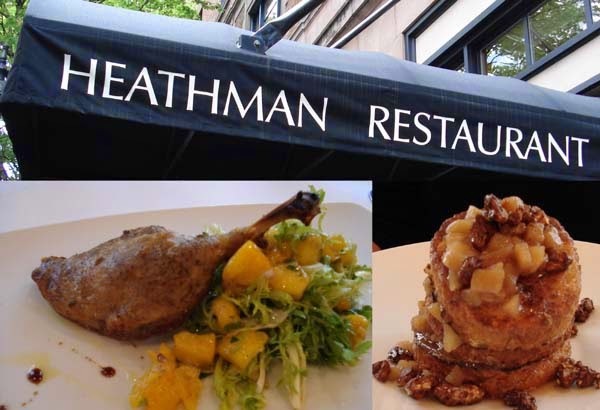 We stayed at the Heathman Hotel and had breakfast at the restaurant, which was amazing - duck confit and french toast! We had dinner at Little Bird, as recommended by David (@snowshoer). 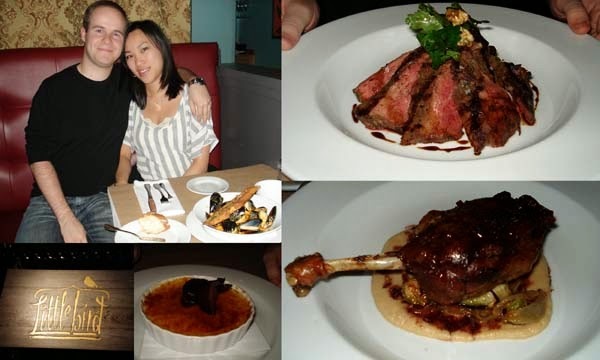 Very delicious french food - we had mussels to start, I had more duck (my favourite kind of meat), Mike had steak and we finished with crème brûlée. 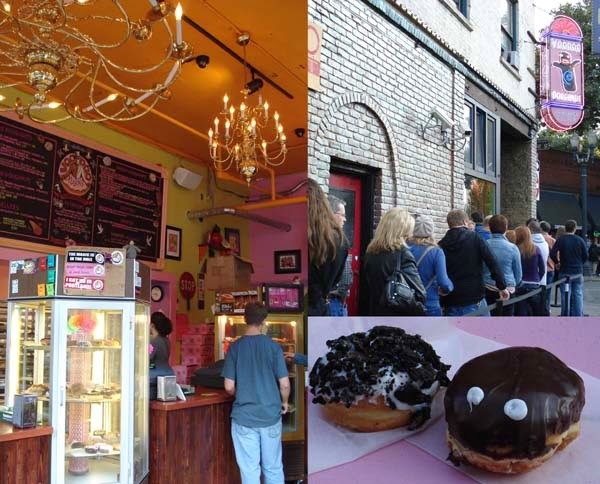 Voodoo Donuts was definitely one of the stops on our list. Pretty much everyone we asked for food ideas suggested it - and it was worth the walk! Mmmmm calorieeeees. Glad you enjoyed Little Bird! I had a very filling mac and cheese for the appetizer and a chicken dish that tasted like Cantonese crispy chicken for the entrée. The crème brûlée looked good, but I didn't have room for dessert. Voodoo Donuts is an intriguing place for unique donuts, but the donuts were way too sweet for me. The bacon maple was decent as the bacon balanced out the sweetness. I passed by the Heathman and took a photo of a doorman dressed in a costume. I'll post a link to it on Twitter once I find it. 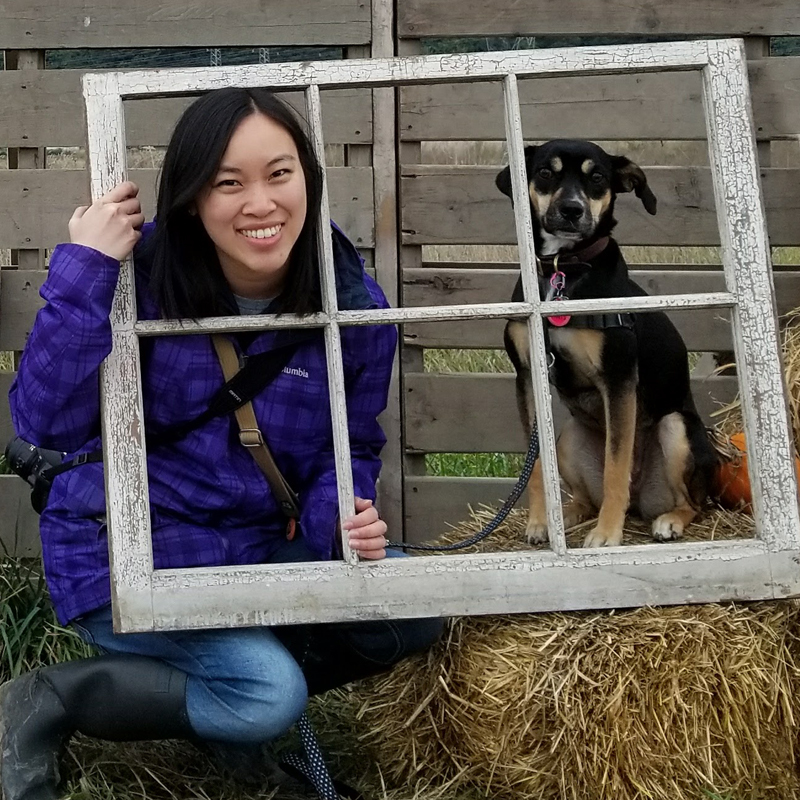 Btw, you and Mike look like a great couple! Gosh! All that deliciousness is just.... wow. Yes. I know. I have a way with words.